He was born on November 6, 1968. He graduated from the Nord Academy in 2006 (Faculty of Psychology). Humor was fond of childhood. He worked with various comic channels of Estonian television. 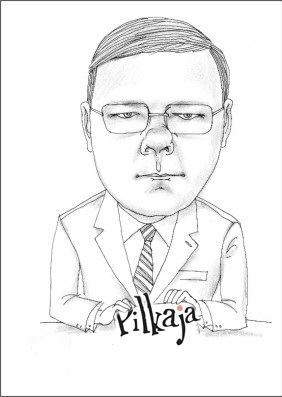 an international exhibition of caricatures “Old and New”, in Narva 2011, April 1, and the presentation of a new humorous magazine Pilka. In 2013 he organized an international competition of cartoons “The Cityman laughs”. In 2015 – an exhibition of the cartoon club Cranberry in Narva. In 2015 – an exhibition of the Belgian caricatures in Tallinn in 2015 at the Museum of the Popular Front of Estonia. In 2015 – an exhibition of caricatures of the magazine.